Triumph, a leading manufacturer of lingerie and underwear, will enter the Romanian outlet market by opening a store within FASHION HOUSE Outlet Centre Bucharest. With presence in over 120 countries, Triumph is a leading lingerie and underwear brand, best known for its quality, fit and fashionable design. The company will occupy a 104 sq.m. 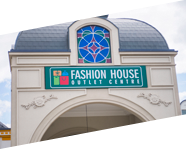 unit within FASHION HOUSE Outlet Centre Bucharest. This is the 4th brand, after Sport Vision, Issimo Home and R&R Boutique, that joined FASHION HOUSE Outlet Centre Bucharest this year. 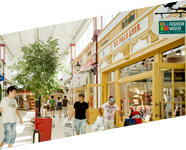 – Just as we expected, the maturing retail market and increasing retail consumption are positively influencing the outlet market. In the last 15 months, we have signed or extended agreements with 15 tenants and the impressive momentum will continue in the upcoming months – said Sorin Blaga, General Manager of Liebrecht & wooD Romania and FASHION HOUSE Outlet Centre Bucharest. 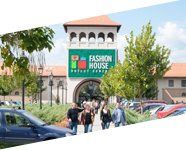 FASHION HOUSE Outlet Centre Bucharest registered spectacular results in 2015 – retail sales registered increases of up to 20% on a monthly basis, materialized in annual sales 10,5% higher than the previous year. The conversion rate (percent of visitors who buy) increased with 23,8% compared to 2014. Both higher sales values and increased conversion rate indicate that the improved mix of tenants and continuous marketing activities deployed within the center are attracting more buyers. 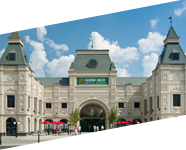 Opened in 2008 within West Park Retail, FASHION HOUSE Outlet Centre is the first outlet centre in Romania, developed by FASHION HOUSE Group, a part of Liebrecht & wooD Group. Strategically located next to Bucharest’s ring road and with direct access from the A1 highway, it can be reached in a mere 30 minutes’ drive time from the city centre. The scheme offers 16,000 sqm total GLA – 70 shops, a foodcourt and an ample parking with 2,150 parking lots. Tenant mix includes such brands as: US Polo, Adidas, Puma, Otter, Champion, Mango, Collective, Sport Vision, Lee Cooper, Tom Tailor, Guess, BSB, Stefanel, Camel Active, Lacoste & Gant.